Tipton Community Theater's production of Seussical, Jr. will take place this weekend (February 22-24) in the Tipton High School Auditorium. 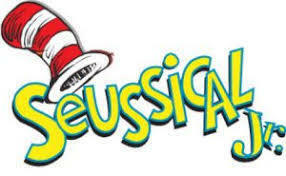 Many talented students from the Tipton schools will take the stage to bring Dr. Seuss's characters to life. Performances are at 7:30 PM on Friday & Saturday with matinee shows at 2:00 on Saturday & Sunday. Go to the Tipton Community Theater's website for ticket and other information.